Chicago Mayor Rahm Emanuel and billionaire entrepreneur Elon Musk last week announced their futuristic-sounding plan to build, at no cost to residents, an underground tunnel that will shuttle travelers from downtown Chicago to O’Hare in a swift 12 minutes. 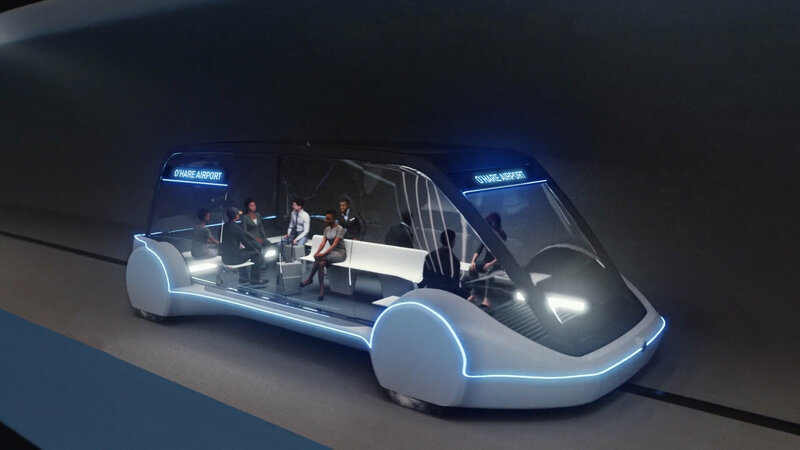 After fielding proposals for an O’Hare express train, Emanuel selected Musk’s Boring Company plan, which features 16-passenger pods called “skates” that are electrically powered and can reach speeds up to 150 miles per hour. Just how the boring and “skate” technology will work – and how much the project will cost – are recurring questions. Emanuel and Musk say the project will be funded privately through ticket sales, ad space and other sources. Musk appeared to bristle at doubts related to funding during Thursday’s press conference, pointing to his successful startups SpaceX and Tesla. Musk estimates the project will cost $1 billion to complete – a fairly low estimate considering it costs some companies $1 billion per mile to bore underground and the route between O’Hare and downtown Chicago measures 18 miles. The Boring Company estimates a ticket on the O’Hare express would cost passengers about $25. The service would most likely undercut the CTA’s Blue Line service and rideshare services like Uber and Lyft. Joining us to discuss the city’s plan for building and implementing Musk’s high-speed O’Hare transportation alternative is Deputy Mayor of Chicago Robert Rivkin.